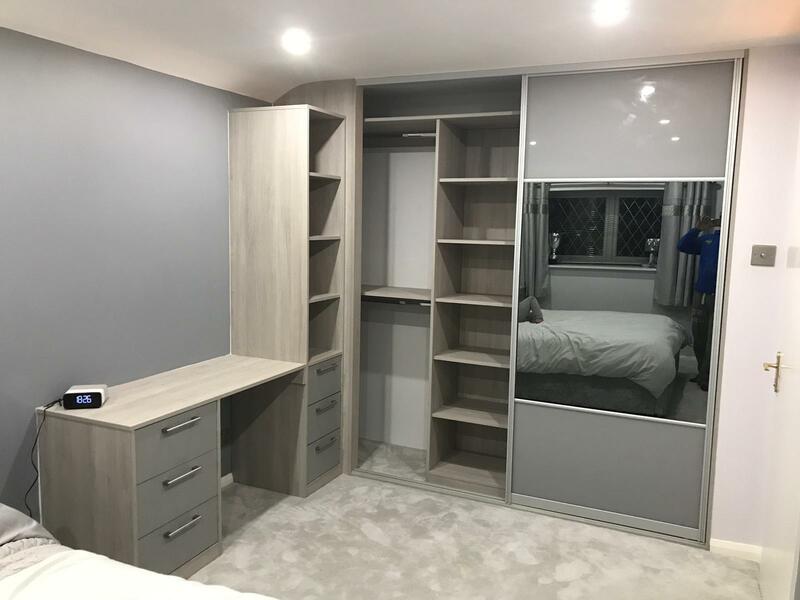 Our most recent client was looking to update the look of their bedroom. 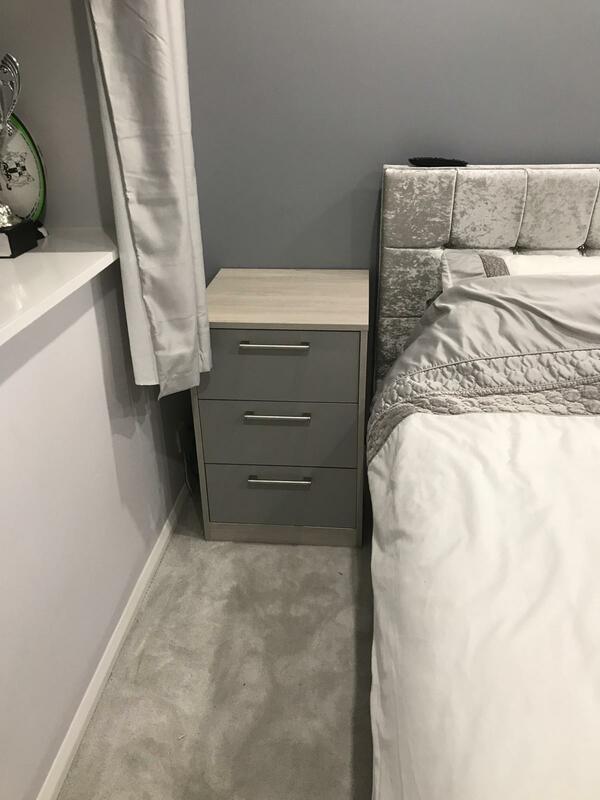 They also wanted to improve their storage solutions as they constantly had belongings and clothing items laying around due to lack of storage. During the initial consultation, we ran through exactly what the client wanted along with colour and door types. 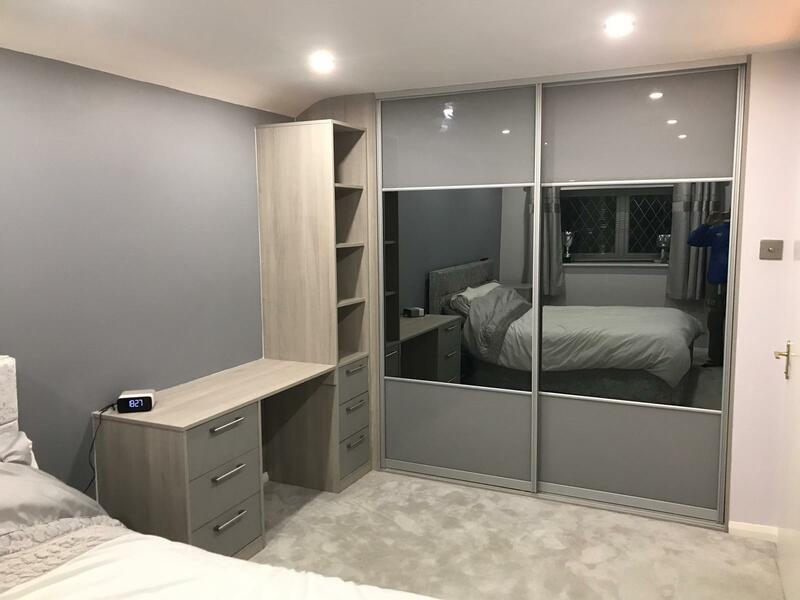 The client chose to go with our aluminium Matrix frame which they chose in silver along with a grey glass to match the colour scheme of their bedroom. 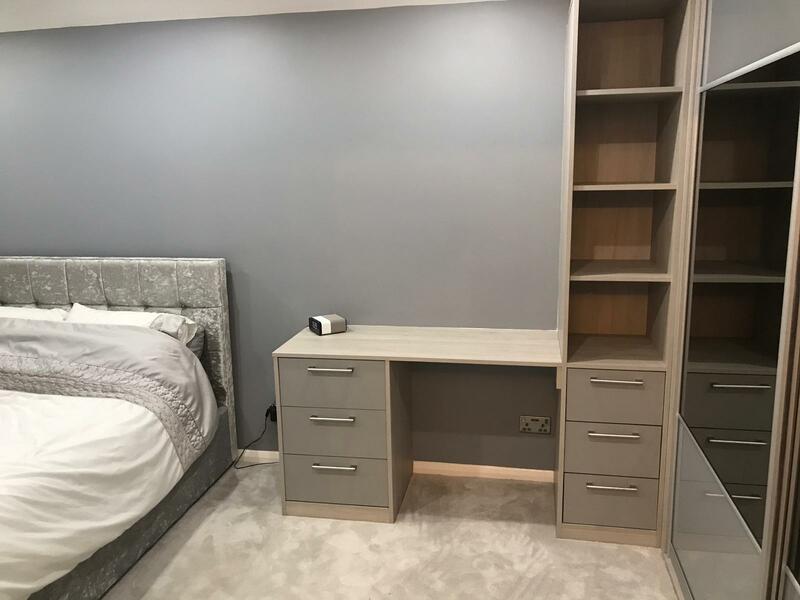 The client also opted for additional furnishing such as a side table and vanity/desk storage system all of which are integrated. Furniche were a breath of fresh air to work with; we went to a number of their competitors to get quotes and designs all of which took ages to come back and prices were extremely high. 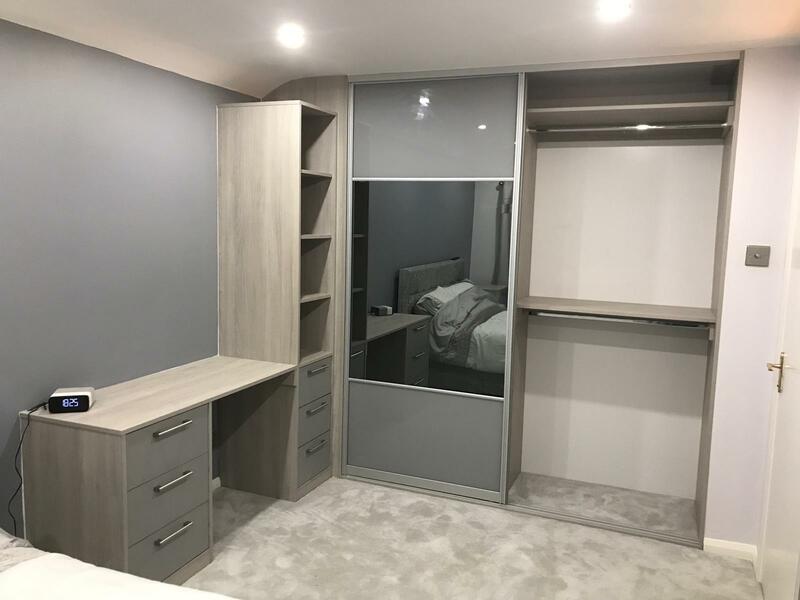 We are over the moon with our sliding wardrobes and bedside tables. 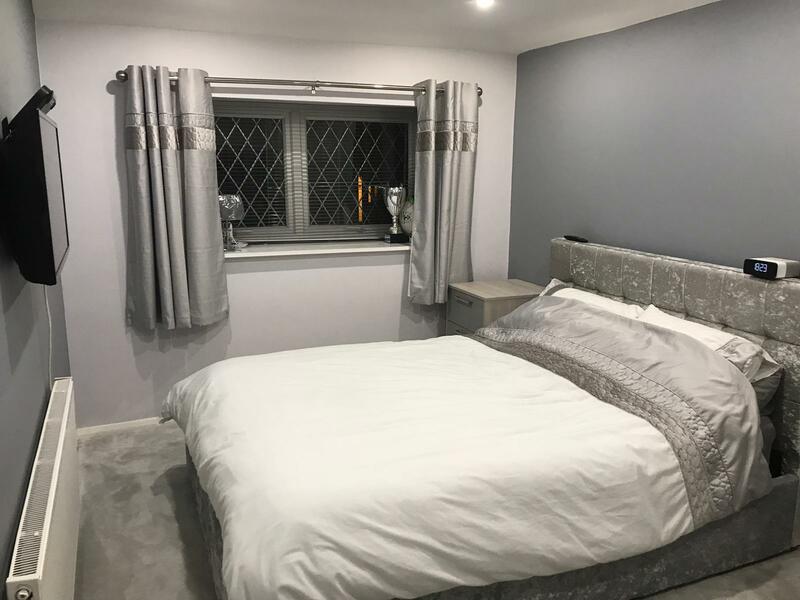 A massive thank you to the team for helping us create our perfect bedroom.